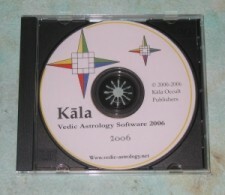 Kala provides several printouts: standard printouts of all its Jyotish calculations as well as custom printouts. Batch printing is available as well. You can even make custom jpegs to email to your friends and clients. Custom printouts are easily and quickly made by selecting one of nine templates. 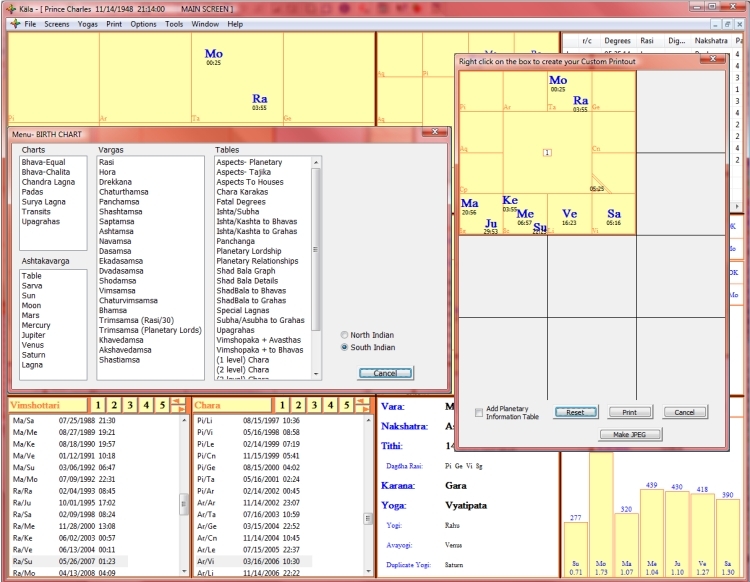 After selecting the template you simply right click on the template to pull up a menu from which you can select a chart or table. You can also place your name, address, phone number, email and website on the chart. You can either print the custom printout, or click on the "Make JPEG" button to save it as a jpeg picture to email or put on a website. For those of you who like to print out several printouts at once, Kala offers Batch Printing. 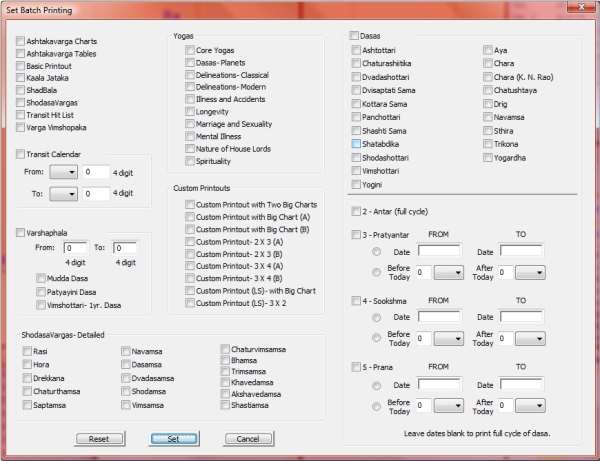 All you do is select what you want to print from the Batch Printing Menu as shown below, then each time you click on the Batch Print, it will print all the printouts selected in your Batch. Panchanga Details and other relevant Time details.